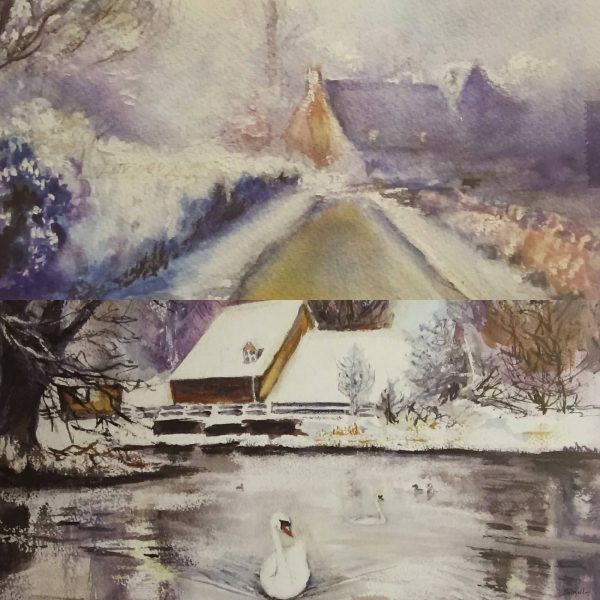 Some of our favourite winter scenes at Sacrewell have been made into greetings cards for the Christmas season. Artist Neen Sidnell from Sutton has worked with us to capture animals, winter scenes and lanscapes of Sacrewell for cards that are on sale in the shop. Pictured below are a couple of our favourites for Christmas, but browse the collection to see Shire horses, goats and wildlife. They’re on sale for £2.50 each.